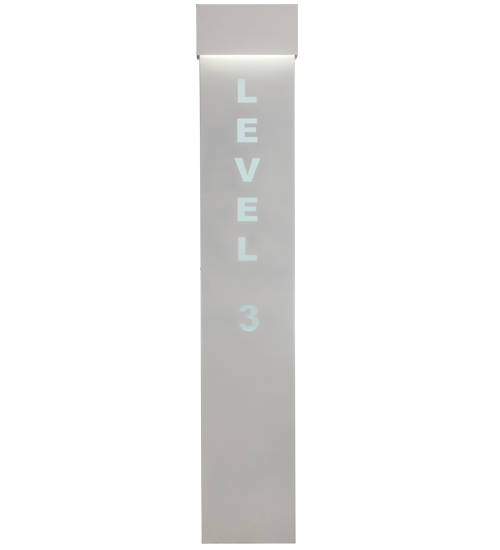 Description: Designed as a clean functional luminaire for a multi-floor parking garage, the Level 3 wall sconce features a floor to ceiling size with an adjustable height reaching above 9 feet. This White powdercoat finished fixture illuminates with integral, energy saving LEDs that operate on a 277-volt system. This wall fixture is custom crafted in Upstate New York. Custom styles, colors, sizes and dimmable lamping options. The 20-inch wide sconce is UL and cUL listed for dry and damp locations.